Genus: Linnaea Gronov. ex L.
This species is accepted, and its native range is S. Central China. Schumann abelia is an elegant shrub with arching stems, which bear clusters of attractive, lilac-pink flowers throughout the summer. The generic name, Abelia, commemorates Dr Clarke Abel, a botanist and surgeon who visited China in 1816-1817 as Chief Medical Officer (on the recommendation of Sir Joseph Banks) and Naturalist to the Embassy. 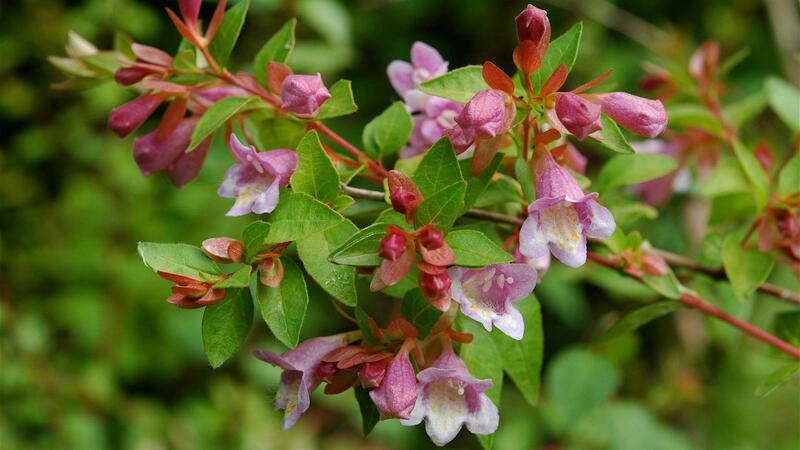 However, Abelia parvifolia was not grown in western gardens until almost a century later. 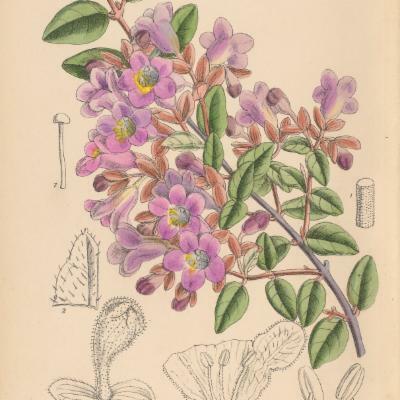 As A. schumannii in Plantae Wilsonae, it was one of the many plants collected by Ernest Wilson (also known as 'Chinese' Wilson) on expeditions in 1907, 1908 and 1910, and sent back to the Arnold Arboretum in the USA. Abelia schumannii is now considered to be a synonym of A. parvifolia, which is a variable species. Native to central China (west Sichuan Province), where it occurs at 1,200-3,600 m above sea level. A deciduous shrub up to around 2 m tall, with slender, arching branches. The young twigs are purple and covered with downy hairs. The leaves are green, ovate, rounded at the tip and up to about 3 cm long by about 1 cm wide. The funnel-shaped flowers are rose-pink with orange markings and up to about 1.5 cm long, and bloom from May to August. Abelia parvifolia is cultivated as an ornamental. It has received an Award of Garden Merit from the Royal Horticultural Society (under the synonym Abelia schumannii ). 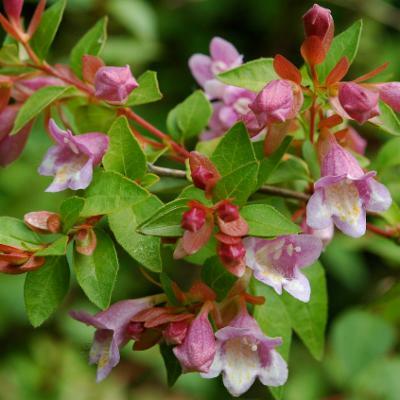 Abelia parvifolia performs best in full sun, in moist but well-drained soil. It can be propagated by cuttings. Abelia parvifolia (currently labelled Abelia schumannii ) is grown to the south of the Stable Yard at Kew. Alcohol-preserved and pressed and dried specimens of other species of Abelia are held in Kew's Herbarium, where they are available to researchers by appointment. 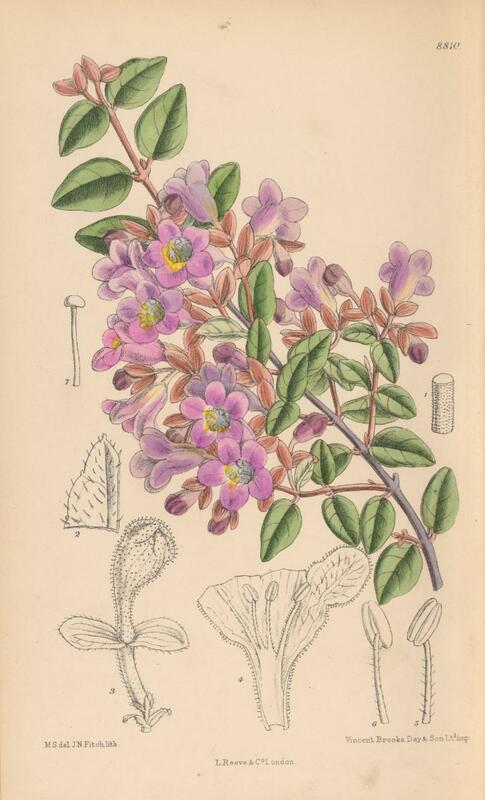 The details of some of these can be seen online in the Herbarium Catalogue. Thickets, dry valleys and by rivers. Not known to be threatened.